Siri, as everyone knows, is a helpful tool to provide iPhone users with quick answers and make life easier. But somehow it turns out her full potential isn’t tapped unless you sign up for Apple services. The point here is Siri will entirely refuse to provide music information to you if you are not signed up for Apple Music. As every company plays its tricks to make its users forcefully agree to sign-in or downloads its extra products. As Facebook app makes you agree by force to download its messenger app whenever you touch the messaging icon. So same is the trick that Apple is playing with its users through Siri nowadays. Several people are facing the situation out that if you ask Siri a question about music, the personal assistant will only provide the relevant information if you’re signed up for its new streaming service. Chances are you probably didn’t renew your subscription following the free trial, in which case Siri turns into a stuck up snob. That’s the response you get if you ask what the most popular song was on a given day. You’d think it would be pretty easy for Siri to figure that out. But she won’t tell you until you pay up. You know what service will tell you? Google. If you are still subscribed to Apple Music, Siri will gladly provide the information you were looking for, according to Business Insider. 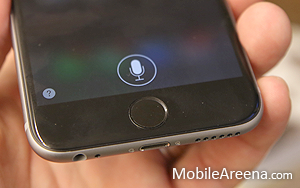 Just when we thought Siri was finally becoming useful, she goes and does this.